At around 10:30 p.m. every Friday night, light and darkness collide at the corner of Broad Ripple Avenue and Guilford Avenue in Broad Ripple Village, about six miles north of downtown Indianapolis. As the darkness of night descends, hundreds and hundreds of twenty-something club-hoppers pour into the village looking to indulge their hedonistic desires, fulfilling John 3:19-20 which says “people loved the darkness rather than the light because their deeds were evil. For everyone who does wicked things hates the light and does not come to the light, lest his deeds should be exposed” (John 3:19-21). 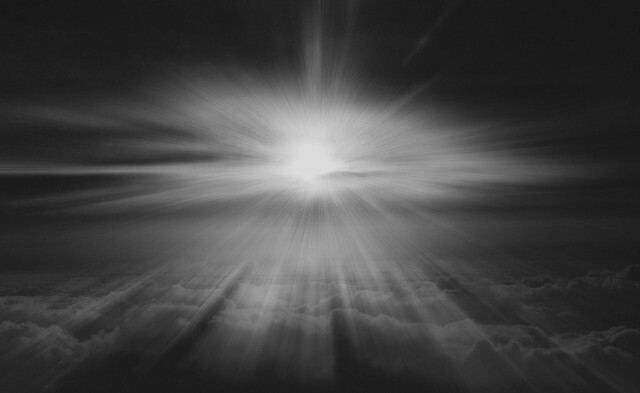 Yet, in the midst of rampant spiritual darkness a few Christians proclaim that light has come. The result? A spectacular collision of light and darkness every week. One couple from our congregation is faithful to be there nearly every week, along with a two or three other men from different churches who make this a weekly ministry. All operate with the view that God is sovereign in salvation. They all freely invite other believers, and there are usually somewhere between five and twenty Christians ready to engage masses on any given Friday night. I join in the ministry every few weeks, and I find it riveting, in part because, every single time, I see the promises of God vividly fulfilled. The intersection at Broad Ripple and Guilford Avenues forms the heart of the village. Pedestrians wait for traffic signals to change, cabs unload, people wait for friends, and some simply sit around people-watching. On one corner in front of Starbucks, troubadours perform with guitar cases out beckoning loose change. In front of Jimmy John’s on another corner, a seventh grade AAU basketball team bases its fundraising operation – the boys in uniform ask for donations from cash-laden young adults who are headed to the bars. The coach told me he was amazed at how well they did the first time they tried fund-raising here – so they come back every week. On the third corner, patrons stand in line outside a bar. And on the fourth, in front of Subway around a raised flowerbed, this small band of Christians gathers to pray and to proclaim that light shines. Several take turns on the microphone and speak through a portable canister amplifier. The content is usually some combination of gracious gospel proclamation, thoughtful interaction with current events and various philosophies, and sometimes just steady, unbroken reading of Scripture. Those not on the microphone fan out further from the corner and distribute tracts, seek to engage individual who are listening, and look especially for those who are bored, broke, or both (and there are a lot of them). A third segment of the group simply watches and prays. In the context of seeking sin, bar-hoppers find even the simple reading of Scripture to be offensive. Stand a block away from the intersection and listen to the people who are still talking and grumbling about it, even though they have long since passed the corner. Like Ahab of old, they do not want to listen to the Lord’s prophets, but they can’t help but listen. Then, the only possible response is to suppress the truth in unrighteousness, by calling what is good, evil, and evil, good. Prodigal-children seem to be most disturbed by the reading of Scripture. When some mock, Jesus words come vividly to mind: "Remember the word that I said to you, 'A servant is not greater than his master.' If they persecuted Me, they will also persecute you” (John 15:20). Even the troubadours make up songs about those bearing good news. But, the same was said of the Savior: “I am the talk of those who sit in the gate, and the drunkards make songs about me” (Psalm 69:12). That happened for the first time a few weeks after I had engaged the guitarist in discussion as he tuned his instrument. I noted that we were both attempting to influence people’s thinking with the content of our messages. I asked if he thought I could collect money if I put a box out in front too – and if not, why not? No answer – just a puzzled look. He politely stated that he was essentially broke and needed to start playing so he could make money. Which leads us to the AAU boys. I’m convinced that they reel in far more money with the work of the gospel going on simultaneously. Why? The spiritual Gentiles milling about “show that the work of the law is written on their hearts, while their conscience also bears witness, and their conflicting thoughts accuse or even excuse them” (Romans 2:15). When people walk up to the corner and wait for a light to change, they hear the word of God and their consciences are pricked. Rather than interact with a Christian, it is a handy diversion to turn to a boy asking for money in his cute little uniform. You can almost hear the voices in the mind “See, I’m a good person, I make my sacrifice by giving to this good cause.” And yet, these sacrifices will never cleanse the conscience, though offered continually week by week. It is striking to me that two groups are trying to take money from party goers and people willingly give, while one group is seeking to give the pearl of great price, and few will receive it. “For many are called, but few are chosen. (Matthew 22:14). In discussion, we see the prevalence of brokenness and guilt. Post-abortive guilt abounds, in both men and women, but understandably, more in the women. It seems that such guilt is the reason that many of young women become the weeds that choke out the gospel in the lives of young men who seem genuinely interested in talking – until the girlfriend literally drags him away. We weep within to see those laden with guilt walk away from the Savior who can remove it all. But, as was true on Mars Hill, after hearing of “the resurrection of the dead, some mocked. But others said, "We will hear you again about this’” (Acts 17:32). The discussions often lead to further hardness of heart, and we see with our own eyes that “he has mercy on whomever he wills, and he hardens whomever he wills” (Romans 9:18). And we see the truth that “unless one is born again he cannot see the kingdom of God" (John 3:3). In these personal discussions especially, the really of the spiritual battle can be felt as we gently urge people to repent. Not all of the promises fulfilled are hard promises. A surprising number are eager to engage in discussion, and express genuine loneliness and fear. Certain people will sit or stand within earshot and pretend not to be listening, but body language betrays their interest – and at times they will eventually come and ask questions. Amazingly, God uses even alcohol to loosen some people such that they are willing to talk about the things that really matter. They intended their consumption for evil, but God meant it for good. Some seed finds good soil, and though it does not happen often on the spot, we also see that “as many as were appointed to eternal life believed” (Acts 13:48). Some have been converted and discipled in the church, and as you would expect, the conversions often come after weeks of ministry and love. The fish are not exactly leaping into the boats in recent years. Yet, when even one comes, we rejoice, knowing that all the promises of God to bring the nations to Christ are being fulfilled. Through this ministry, Christians have been stopped in their tracks from pursuing sin as they have heard the word read, and have testified to that reality. “The teaching of the wise is a fountain of life, that one may turn away from the snares of death” (Proverbs 13:14). Those who labor have come to a fuller understanding of the truth, and many others have had their thinking sharpened as they have been forced to interact with anti-Christian worldviews. As people chew on the truth, I take great comfort in knowing the promise of God: "For as the rain and the snow come down from heaven and do not return there but water the earth, making it bring forth and sprout, giving seed to the sower and bread to the eater, so shall my word be that goes out from my mouth; it shall not return to me empty, but it shall accomplish that which I purpose, and shall succeed in the thing for which I sent it” (Isaiah 55:10-11). As I drive away between midnight and one, I always am blessed with a renewed gratitude for the grace of God in my own life, the work of Christ, and the power of the Spirit. I’m always reminded afresh of the urgency of our calling and of the needs of people. As we leave, we sometimes walk away with names and phone number of those willing to talk again over coffee, and we pray by name for those who have heard God’s word, and we plead with him for their repentance. In it all, I leave exhausted and utterly aware of my own powerlessness. But it is also exhilarating to be on the front lines of gospel ministry, looking all around at the promises of God being fulfilled moment by moment. Though some weeks it seems that the only work being done is that of hardening, it is still evidence that light always wins in the titanic clash of light versus darkness. **“**Therefore, having this ministry by the mercy of God, we do not lose heart. But we have renounced disgraceful, underhanded ways. We refuse to practice cunning or to tamper with God's word, but by the open statement of the truth we would commend ourselves to everyone's conscience in the sight of God. And even if our gospel is veiled, it is veiled only to those who are perishing. In their case the god of this world has blinded the minds of the unbelievers, to keep them from seeing the light of the gospel of the glory of Christ, who is the image of God. For what we proclaim is not ourselves, but Jesus Christ as Lord, with ourselves as your servants for Jesus' sake. For God, who said, 'Let light shine out of darkness,' has shone in our hearts to give the light of the knowledge of the glory of God in the face of Jesus Christ” (2 Corinthians 4:1-6). All Scripture quotations ESV. Special thanks to Gary Van Keppel who contributed to this article.